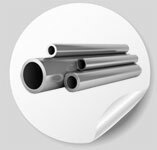 We are a distributor & supplier of Inconel® 925 and Nickel Alloy 925 in form of pipe, tube, sheet, strip, coil, plate, round bar, flat bar, hexagon, forging stock, hex bar, wire, and extruded section. The following table shows the chemical composition of Incoloy(r) alloy 925™. With regards to Inconel 925 machinability, Density & Hardness, the machining of Alloy 925 can be achieved, by the use of the normal methods that are used for alloys that are iron based. By the use of commercial coolants, it is possible to perform machining operations. The Density of Alloy 925 is 8.05 g/cm³ (0.291 lb/in³). The Rockwell C Hardness is 39. Incoloy 925 has a UNS N09925 and NACE MR-01-75. The Yield Tensile Strength is 117000 psi (810 MPa). Incoloy 925 has an Ultimate Tensile Strength of 141000 psi (970 MPa). Incoloy 925 heat treatment is accomplished by annealing it at 1800 to 1900 °F (983 to 1038 °C) and then cooling it. The Chemical Composition of Alloy 925 is Carbon, C 0.01%, Molybdenum, Mo 3%, Nickel, Ni 44%, Aluminum, Al 0.3%, Chromium, Cr 21%, Iron, Fe 28%, Titanium, Ti 2.1% and Copper, Cu 1.8%. The Density is 0.291 lb/in³ (8.05 g/cm³). The Melting point is 2450 °F (1343 °C). The Magnetic Permeability is 1.001. Incoloy 925 has an Electrical Resistivity of 0.000117 ohm-cm. It has a Specific Heat Capacity of 0.104 BTU/lb-°F (0.435 J/g-°C). The physical properties of Inconel 925™ are given in the following table. The mechanical properties of Incoloy(r) alloy 925™ are outlined in the following table. Shielded metal-arc welding, gas metal-arc welding, gas-tungsten arc welding, and submerged-arc welding methods are preferred for welding Incoloy(r) alloy 925 ™.